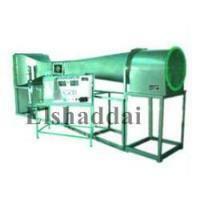 Pioneers in the industry, we offer flow nozzle and wind tunnel from India. 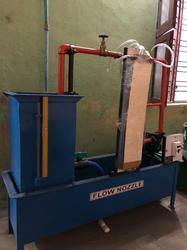 A flow nozzle meter consists of a short nozzle, usually held in place between two pipe flanges. It is simpler and less expensive than a venturi meter, but not as simple as an orifice meter. The frictional loss in a flow nozzle meter is much less than in an orifice meter, but higher than in a venturi meter. Wind Tunnel includes Blower, Balance And Small Aspect Ratio Model, Water Flow Channel, Subsonic Wind Tunnel, Manometer – Pilot Static Tube, Circular Cylinder & Aerofoil Pressure Distribution Models, Wind Tunnel Strain Gauge Balance, Supersonic Wind Tunnel, Mercury Manometer, Schlieren System & Shadow Graph System, Sharp-Nosed And Blunt Nosed Models. Looking for MARINE ENGINEERING - Aeronautical Lab Equipment ?